In 1971 Leica decided to produce a compact Leica (CL) camera that would be a less expensive alternative to their pro model M5. In the late 60s and early 70s, production costs in Germany had risen high enough that it was beginning to price Leitz products out of an increasingly competitive sales environment. Leica looked for ways to cut costs while expanding their market share. To keep production costs to a minimum, they needed the camera to be manufactured by an outside company with hi-tech capabilities and lower labor costs than those in Germany. 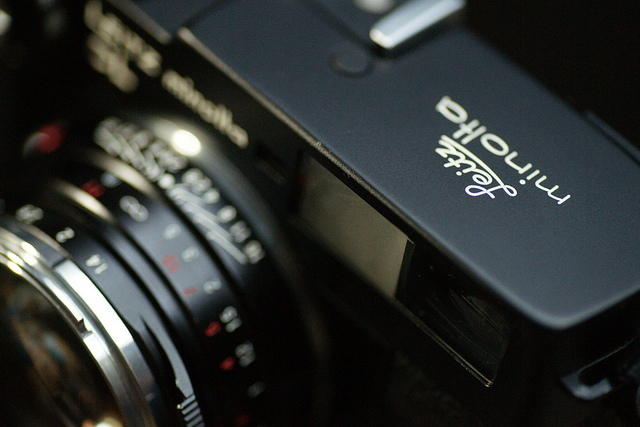 Leitz approached Minolta, and the Leica CL was born. The Leica CL and the Leitz Minolta CL are 35 mm compact mechanical rangefinder cameras with interchangeable lenses in the Leica M-mount. They were developed by Leitz/Leica in collaboration with Minolta, and manufactured by Minolta between 1973 and 1976. Leica put their name on the CLs they sold, and they were put through “German quality control,” but that’s really the only difference between the Leica or (Leitz) Minolta CL. In reality, all of the cameras were made on the same assembly line in Minolta’s factory in Japan. In the U.S. and Europe, the CL was sold as the “Leica CL”. 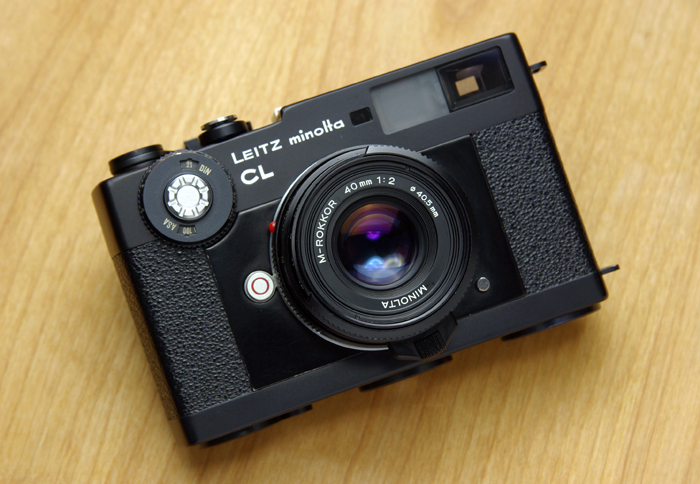 In Japan it was sold as the” Leitz Minolta CL” and “Minolta CL”. Sixty-five thousand serial numbers were allotted to the Leica CL, and additionally approximately 20,000 Leitz Minolta CL’s were produced. 3,500 examples of the Leica CL received a special 50 Jahre marking in 1975, for Leica’s 50th anniversary. The CL came standard with either a 40mm f/2 Summicron-C or 40mm f/2 Rokkor M. When sold with a Leitz Minolta CL, the lenses were called Minolta M-Rokkor 40mm f:2 and 90mm f:4. Leitz designed and produced the Summicron-C 40mm in Germany. Minolta produced the M-Rokkor 40mm f/2, which was an optical design identical the Leica Summicron-C 40mm and manufactured it in Tokyo with Minolta glass. The Summicron and Rokkor are identical in performance, and many people prefer the M-Rokkor as it uses a standard 40.5mm filter and hood. Minolta also produced a later version of the M-Rokkor for the Minolta CLE, the M-Rokkor 40mm f/2 mark II, which is multicoated and reputed to be slightly better optically than the Summicron and first version M-Rokker, although I suspect that’s down to internet speculation. Suffice it to say that the Summicron-C and the M-Rokkor in whatever version are very compact and incredibly sharp, still as good relatively today as they were 40 years ago. Leitz designed the Elmar-C 90mm f/4 for the CL and manufactured both it and first production runs of the M-Rokkor 90mm f/4 for the Minolta CL in Wetzlar, changing only the bezel and markings for the Minolta lens. Later, after Leica had discontinued the CL and Minolta continued with the CLE, the same lens design was manufactured by Minolta in Japan. You can tell which was which by the “Made in Germany” and “Made in Japan” markings on the lens barrel. Minolta also subsequently produced an M-Rokkor 28mm f:2.8 lens for the CLE. All these lenses can be mounted on the CL too. M-Rokkor-branded lenses for the CL and CLE take the more easily found 40.5mm filter size. The CLs are identical. The Minolta is a Leica, and vice versa. 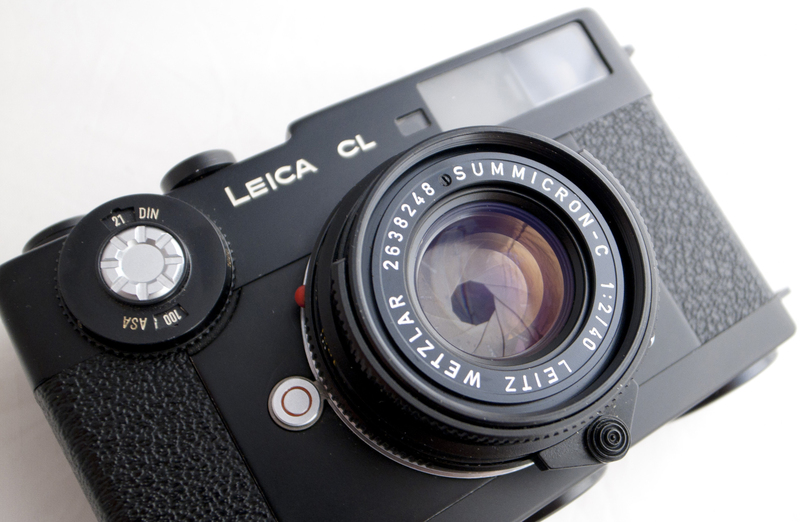 There are some differences between the CL and the M series Leicas. The shutter speed dial is positioned on the front of the CL. The shutter speed also appears in the finder display (the M5 shows the shutter speeds in the finder as well while the other M’s do not). Instead of the horizontal cloth focal plane shutter found in the M series, the CL uses a vertical cloth shutter. This allowed the CL body to be very compact, still the smallest M mount camera made by Leica. Much like the Nikon F, the entire bottom plate and back detaches from the CL for film changes. As with the M series, the shutter is entirely mechanical, a battery only needed for the meter. The CL does not have a rangefinder as precise as that of a the Leica M. The rangefinder base of the CL is 31.5 mm and the viewfinder magnification is 0.60, leading to a small effective rangefinder base of 18.9 mm. This is too short for accurate focusing with lenses longer than 90mm and fast lenses used at full aperture. It has frame lines for 40mm, 50mm, and 90mm lenses, and the viewfinder easily accomdates a 35mm lens (just use the entire viewfinder frame). The 40mm frame is always visible. If you’re looking to buy a CL, the Leitz Minolta version with 40mm M-Rokkor sells for about 60% of the Leica CL with Summicron. The only differences between to two cameras are the external engravings. I have one and love it. Its diminutive size makes it a perfect camera to take everywhere, and the optical quality of the 40mm M-Rokkor is outstanding. I find myself reaching for it when I’m heading somewhere with no particular photographic ideas in mind. This entry was posted in Leica CL, Leica Film camera, Leica Rangefinder and tagged Leica Cl, Leitz Minolta CL, M Rokkor 40mm, Minolta CL on December 6, 2014 by Leicaphila.